I seem to have a catch 22. I can’t rename the partition without plugging it in to my laptop and mounting it. The number you’re seeing is a UUID, or Universally Unique IDentifier, it’s a number that is derived from a number of things, some of which are the date, the MAC address of the machine, and the local random number generator. 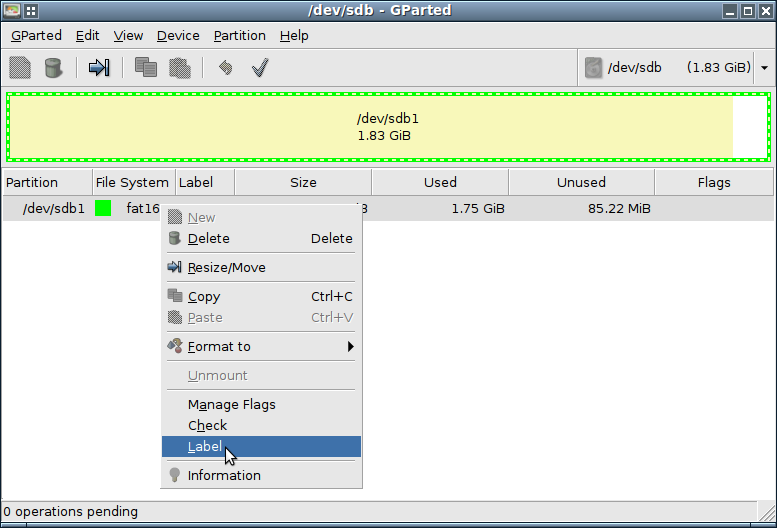 The simplest way to rename a filesystem is usually to use gparted (Gnu Partition Editor). First, make sure that the partition you want to rename is plugged in and visible, then issue the command in a terminal. 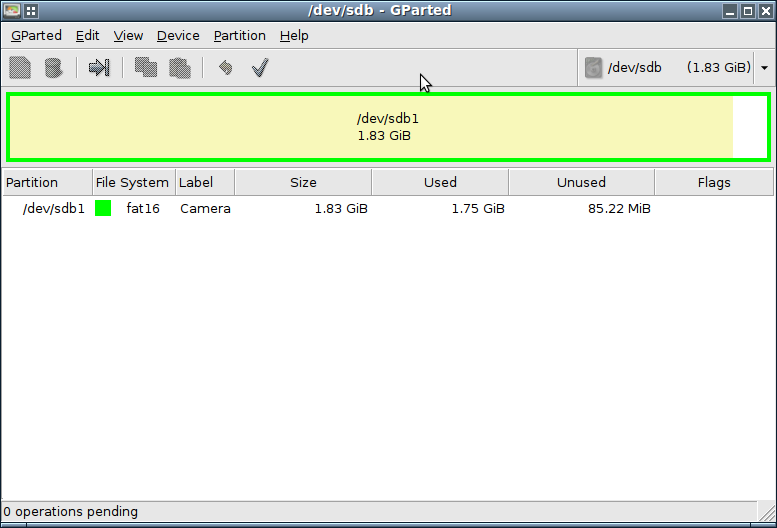 First, make certain that you have selected the correct device (/dev/sdb1 in the upper right corner of gparted), and that it is unmounted (right click on the device in the lower half of gparted). Then, change the label by right clicking the device and selecting Label in the pop-up menu. Finally, make the changes permanent by clicking the green ‘Apply’ checkmark button (upper center), and you should be golden!